When looking at all the weird and wonderful ingredients that the shop bought banana breads have in them I prefer to make my own. 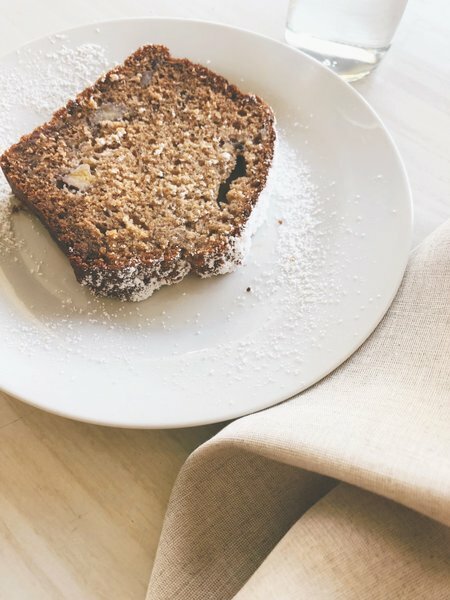 This recipe is super quick to prepare and the banana bread turns out perfect. This is how it's done: Preheat oven to 165 degrees celsius (325 degrees farenheit). Combine oil, honey and eggs in a bowl and whisk. Add mashed bananas and milk. Mix again. Now add all other ingredients, apart from the flour. Mix well. Lastly add the flour and nuts. Stir until just combined. Place mixture in a lined baking tin and bake for approx. 55 minutes (until a wooden skewer inserted in the centre comes out clean).